If you are a moose antler junkie and marvel at the idea of finding antlers from these monarchs of the north woods then an antler hunt is the fix for you. 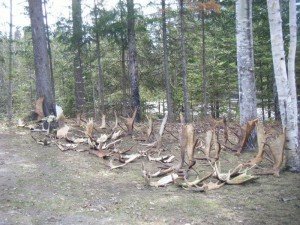 December through February is prime time to hunt for antlers shed from moose. Snow conditions dictate our luck and abilities to navigate the back country. 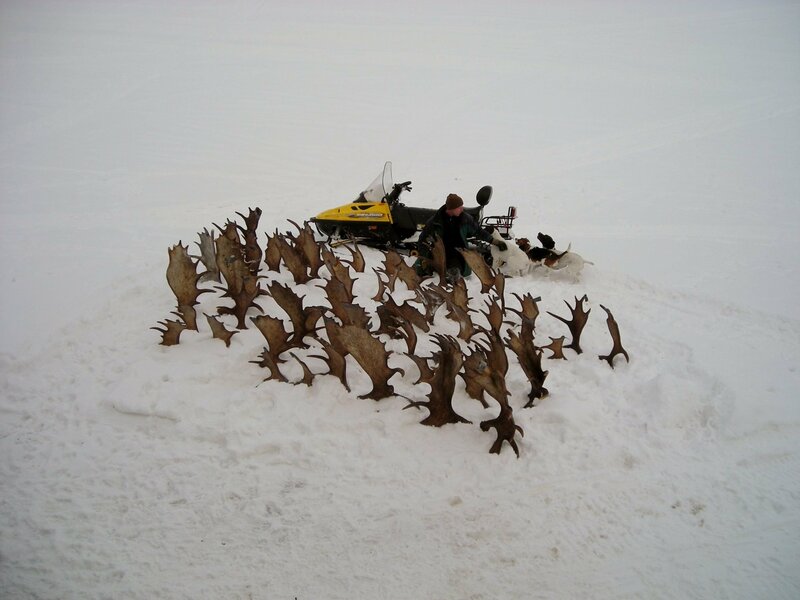 A typical day may consist of riding 50 – 100 miles on snowmobile finding 2 -5 antlers per day; if you are lucky enough you may find a matched set or a whooper weighing over 20 lbs. This is a unique treasure hunt, you never know what you will see or find. You get to keep any antlers we find. 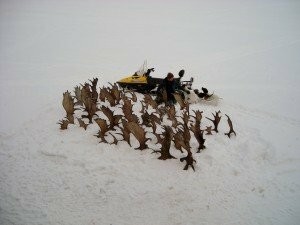 In mid April through May spring shed hunting conditions are the best, vegetation does not green up until late May and there are no black flies until early June. Access to most areas of the back country is possible by four wheel drive and hiking into the woods to find antlers. A typical day consists of walking many miles throughout the woods, so you should have a compass and or gps and a pack frame to strap antlers to.